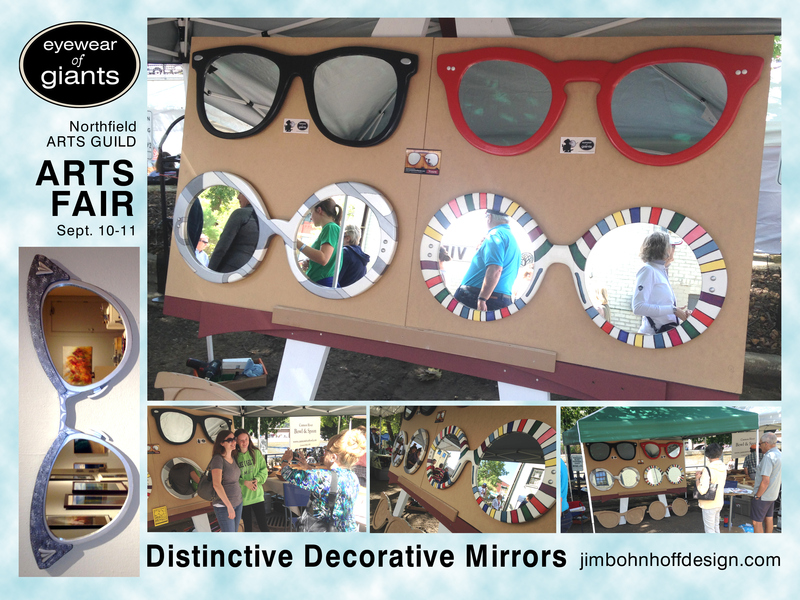 An exciting new line of Distinctive Decorative Mirrors called Eyewear of Giants. Iconic eyewear of Sir Elton John, Blues Brothers, Marilyn Monroe, John Lennon, Elvis, Teddy Roosevelt, Buddy Holly, Stevie Wonder and many other possibilities!!! Seen by thousands at the DJJD Northfield Arts Guild ARTS FAIR. A beautiful couple of days down by the river in Northfield, Minnesota.